In a quiet little corner of Kitsilano sits the Vancouver Maritime Museum, a building overflowing with its collections and artifacts of maritime history and home to the famous R.C.M.P. vessel the St. Roch. 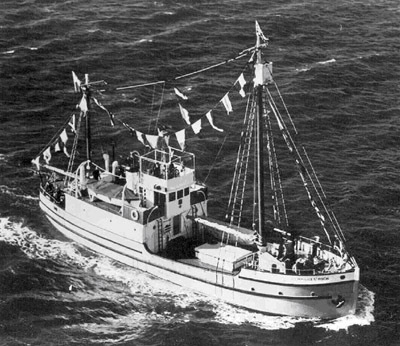 The St. Roch being the first vessel to sail the Northwest Passage from West to East (1940 - 1942) the first vessel to cruise the Northwest Passage in both directions (when it completed an East West journey two years later in a single season) and the first vessel to circumnavigate North America. Built out of wood and powered by a single 150 hp diesel engine the patrol vessel was originally built in 1928 and stayed in service until 1950. That the ship would make its final home in Vancouver (where it was originally built) is perhaps more appropriate than most people would realize. 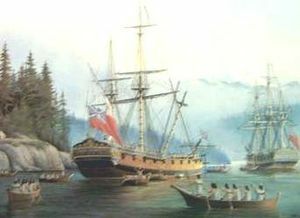 Vancouver after all was named after the famous sea captain who spent 3 seasons from 1792 to 1794 on the HMS Discovery exploring and surveying the rugged B.C. coastline all the way to Alaska in a fruitless search for the Northwest Passage. Each new fjord Vancouver encountered seemed to offer a connecting passage to the North but, as he sailed into them, meticulously mapping every detail along they way, each waterway would prove to be a dead end. Interestingly, these two ships were roughly the same size, Discovery being 99 feet long with a beam of 28 feet and St. Roch being 104 feet long with a 24 foot beam. But the first ship to complete the Northwest Passage was the Gjoa, in 1906, following an East West route that had taken three winters to complete. A 70 foot herring fishing boat originally built in 1872, it was converted into a motor-sailor vessel with the addition of a 13 hp motor. The Captain was Roald Amundsen, a Norwegian. It was another Norwegian, Henry Larsen, who captained the St. Roch, though he had already become a Canadian citizen in 1924. The fabled Northwest Passage was something people had been seeking since John Cabot tried in 1496 and it wasn't until 1854 that it was proved a route even existed. Robert McClure had been leading an expedition to search for the lost and disastrous Franklin expedition of 1848, when his ship got caught in the ice of Prince of Wales Strait between Banks and Victoria Islands as he was trying for a West East route. Carrying on by sledge he then discovered Barrow's Strait and the connecting passage, which won him the prize of 10,000 English pounds for finding the route. A Northwest Passage has always offered the promise of a quicker route between Europe and Asia but the short window of time available for the journey, before the seas freeze over, has made it an impractical proposition. Even when the supertanker Manhattan completed the voyage in 1969 with the aid of a Canadian icebreaker it still wasn't considered cost effective. However, with recent climate changes that appear to be melting some of the polar ice, interest has again surfaced in making the Northwest Passage a viable commercial route and, in 2009, two cruise ships completed the passage. An ice free Northwest Passage brings with it all sorts of issues around sovereignty and protection which is now being debated amongst all the countries bordering the North Pole area. Canada naturally takes the position these waters are all internal and within her jurisdiction while others see this as an international strait. As a result deep water ports are being built and the Coast Guard is stepping up patrols and presence in the area. One of the recent cruises to raise awareness of the Northwest Passage was the modern R.C.M.P. patrol vessel the Nadon which, in 1999 - 2000, recreated the famous West East route of the St. Roch. 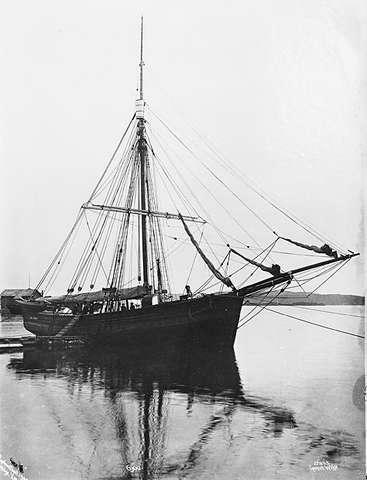 The Nadon is based in the waterways of Vancouver and one of the main purposes of the voyage was to raise funds for the preservation of the St. Roch.